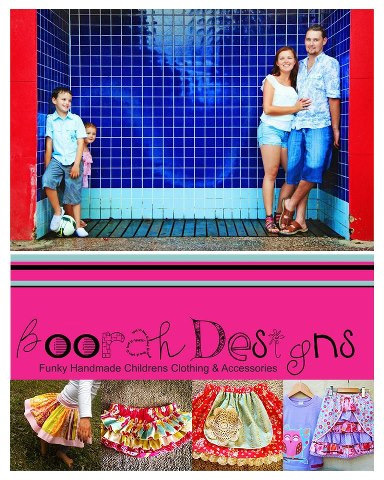 Tragically, over the summer holidays, Ipswich-based Tammy Boorer from Boorah Designs (handmade children's clothing and accessories) was killed in a car accident. The members of Madeit (where her Boorah Designs store was hosted) have rallied together to raise funds for the Boorer Family with a special shopping event tonight. If you would like to to participate, head to the From Madeit With Love Facebook page. The Madeit community recently heard of the tragic death of one of our members. Tammy Boorer and her husband were critically injured in a horrific car accident whilst traveling to their holiday destination. Their two children received minor injuries. Unfortunately Tammy, who was pregnant with her third child did not survive. Her husband Nathan is still in a critical condition in hospital. Tammy from boorah designs was a beautiful, creative soul who began selling on madeit in March 2009. Her signature patchwork skirts were loved by many. She was a devoted wife and dedicated mother who began her business by making clothes for her 2 children Zac aged 9 and Lilli aged 5. 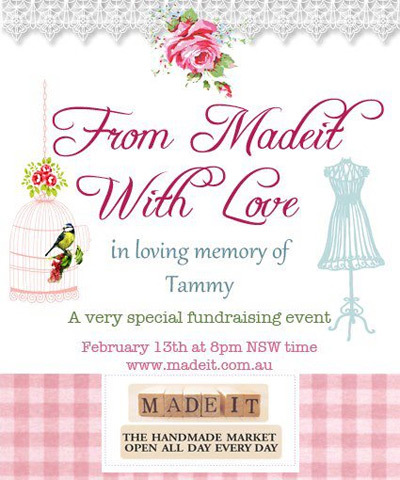 Madeit sellers are participating in “from Madeit with Love” an event being held specifically to raise funds for Tammy’s family. Participating Madeit sellers will be donating the proceeds from the sale of select items to the Ipswich Presbyterian Church who will be assisting the Boorer Family. The shopping events starts tonight (13th February 2013) at 8pm. Head over to Madeit to participate.